Kathleen "Kathy" A. Madden, age 70, of Casper, Wyoming passed away April 11, 2019 at Central Wyoming Hospice. Kathy was born January 14, 1949 in Milwaukee, Wisconsin to Stanley and Elizabeth (Schroeder) Hehn. 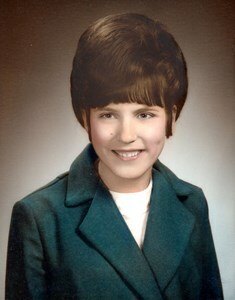 Kathy graduated from Bay View High School in 1967. She met her husband, Terry Madden, in Milwaukee while attending a dance and they dated for 5 months before Terry proposed. After Terry served a tour of duty in Vietnam, they got married at Terry's family home in Bountiful, Utah in June of 1969. Terry and Kathy welcomed their first daughter, Wendy, in July of 1973. They relocated to Casper, Wyoming in 1974. Their second daughter, Shelley, joined their family in 1980. Kathy was a homemaker for the majority of her life and took excellent care of her family with the best chocolate chip cookies and spaghetti and meatballs around. She had a wonderfully creative mind which she showcased through everything from sewing, crocheting, and painting right down to the meticulous script of her handwritten letters. She shared her talents with her daughters, playing clarinet duets every Christmas with her eldest and taking pottery classes with her youngest. Spending time with her husband and daughters were her most cherished moments. Kathy was preceded in death by her parents. She is survived by her husband of 50 years, Terry L. Madden, Daughter, Wendy (Travis) McKinney; Daughter, Shelley (Josh) Maher; grandchildren, Amanda, Chloe, and Benjamin, and step-grandchildren, Braeden and P.J. Memorial contributions may be made to Casper Rescue Mission in Kathy's memory. To leave a special message for Kathy's family, please click the "share memories" button above. Add your memories to the guest book of Kathleen Madden.